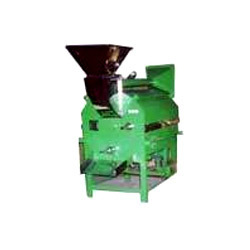 We manufacture an assortment of automatic roasting machine, peanut roasting machines, cashew roasting machines that are fabricated using qualitative material sourced from reliable vendors. These automatic roasting machines have gained huge appreciation in the market for their durability, excellent loading capacity and sturdy construction. We manufacture an assortment of automatic roasting machines that are fabricated using qualitative material sourced from reliable vendors. These have gained huge appreciation in the market for their durability, excellent loading capacity and sturdy construction. We also have the ability to customize our gamut as per the specification detailed by the clients’. Automatic Temperaturecontrolled Roasting of Supari, Cashew, Dhall, Chillies, Coriander, Pea-nuts, Spices, Idiyappam, Puttu Flour and various other products. Canalso be used for moisture removal in many products to the requiredlevels. 60 lit, 120 lit, 240 lit , 500 lit. 1 to 5 HP (Main Motor) & 5KW to 15KW (Heating power) Gas Heating model also available. Electrical and Electronic for Temperature Cut 'off'. ElectricalBell system for indicating temperature cut off also available onrequest. Separate exhaust fan for moisture removal. Efficient heatrecovery and hence low roasting time.